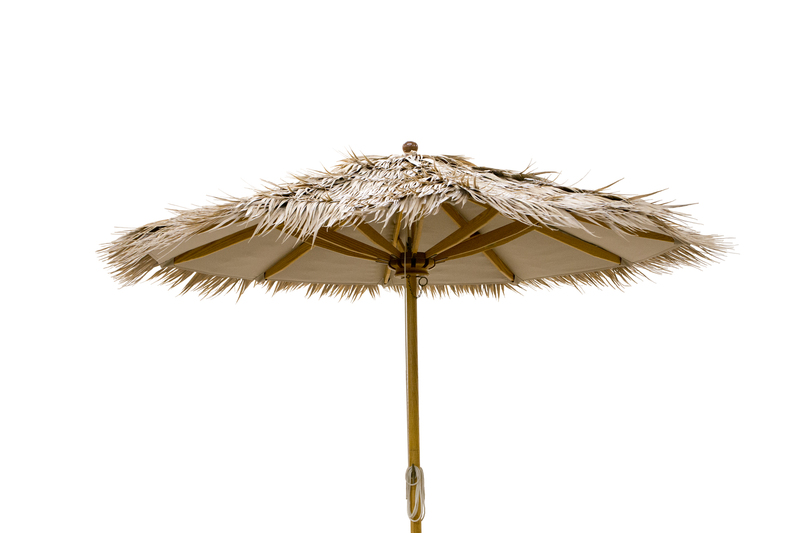 Synthetic Thatch Umbrella | American Holtzkraft, Inc. WOW!! We did it again! We took an old idea… made it better… and fell in love with it all over again. The beautiful natural hues are created by pigments and protected by UV stabilizers imbedded in the material, which can not wear off or deteriorate with constant exposure to the sun. 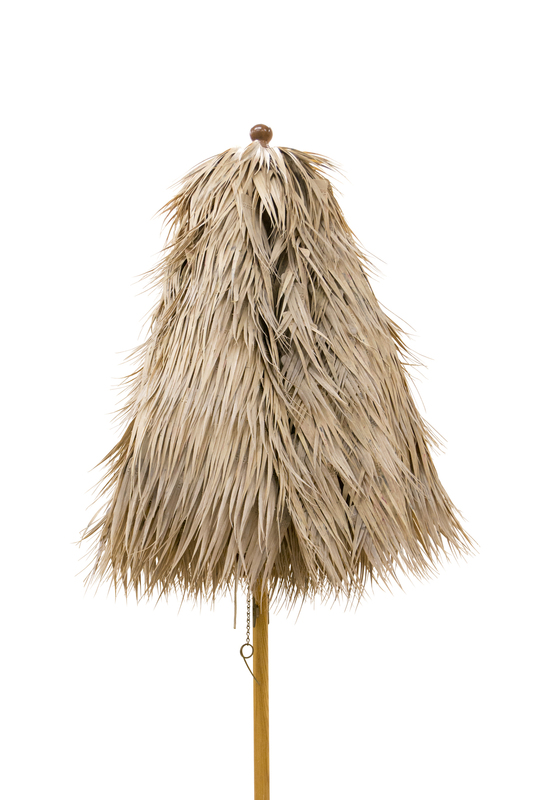 Like our 1st generation classic natural thatch, this umbrella is fully functional and portable. Our talented team has engineered this sun loving beauty with a new figure creating additional interest in form and function. It’s well balanced, 10-rib frame boasts of a 2′ diameter, steel pipe reinforced pole and heavy 2′ ribs. Distinctive Hardwood grains preserved by slow kiln-drying, sealings and slow drying of multiple finishes. 2″ diameter, steel pipe reinforced ash pole laminated for strength. Aluminum flush pole guard protects pole and minimizes swelling in the stand. Decagon hub is horizontally multi-laminated and reinforced internally with stainless steel hardware. 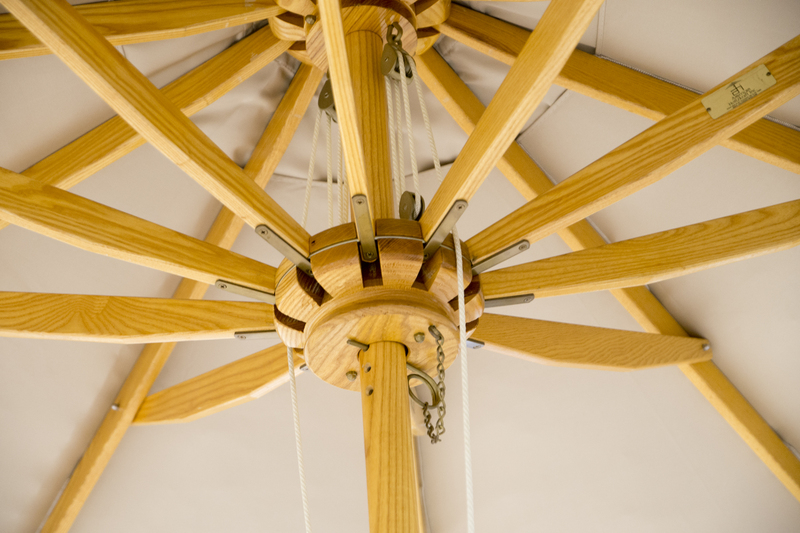 Hub design accents strength, keeping the wood girth stable in all weather. Multi-laminated real wood or synthetic wood finial. Flexible high-gloss finish for outdoor use. Heavy, solid brass eye-screw and chain connect the positioning pin. Low density Polyethylene injection molded Resin (LDPE). UV Resistant Pigments imbedded in resin.